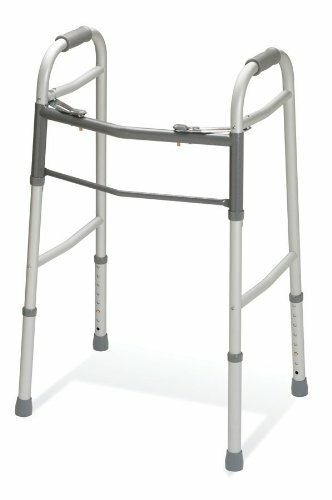 Lightweight aluminum frame with steel cross brace provides durability. Walker maintains tight tolerance between frame and foot pieces for rattle free use. Comfortable hand grips and non-marking tips. Fits users 5'5" to 6'4". Folded width is 4.5 inches. 300 pound weight capacity. Height adjustment: 32" - 39"